A new document [PDF] released yesterday by Geoscience Australia (GA) detailed analysis of four images captured by the PLEIADES 1A Earth-imaging satellite on March 23rd, 2014, not long after the March 8th disappearance of the plane. The images were provided to GA by the French Ministry of Defence. 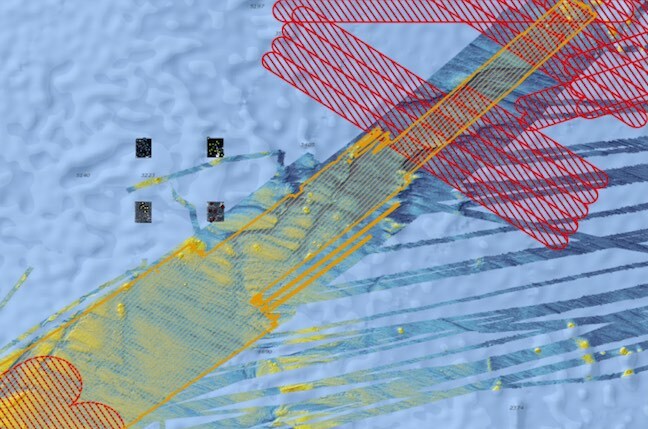 The images depict an area to the north and east of the area searched by underwater survey, and in-between areas where search and rescue operations were conducted in the wake of the plane's disappearance. The image above (or here for m.reg readers) displays the areas covered by underwater survey in yellow and the search and rescue zones in red. Extensive manual analysis of the images – there was not enough data to use machine learning – yielded a dozen objects that researchers were happy to classify as “probably not natural”. Several of those objects were clustered in the northern parts of the areas depicted in the photos. The document is at pains to point out that it is not possible to identify the objects as airplane debris. The new analysis referred back to drift pattern analysis made on debris known to have come from MH370 and released in December 2016. That analysis suggested the search area be extended by 25,000km2. More detailed drift analysis released in April 2017 also called for a new search to the north, as did a July talk by scientists from Australia's Commonwealth Scientific and Industrial Research Organisation.